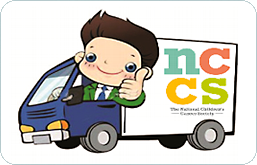 For your convenience, NCCS Services can pickup your free donations. You can help by scheduling a stop at your home. We pick up only at homes that have scheduled a pickup. Place your items outside your front door by 8 a.m. in plastic bags or boxes marked for the National Children's Cancer Society or the NCCS, or tagged with your postcard. Our drivers work regardless of the weather, from 8:00 a.m. until dark. The National Children's Cancer Society helps thousands of children with cancer and their families and they depend on the generous support of people like you. Please submit your information below to schedule the next available pickup from your specified location. Does your pickup include heavy/bulky merchandise, furniture, appliances, etc. ?